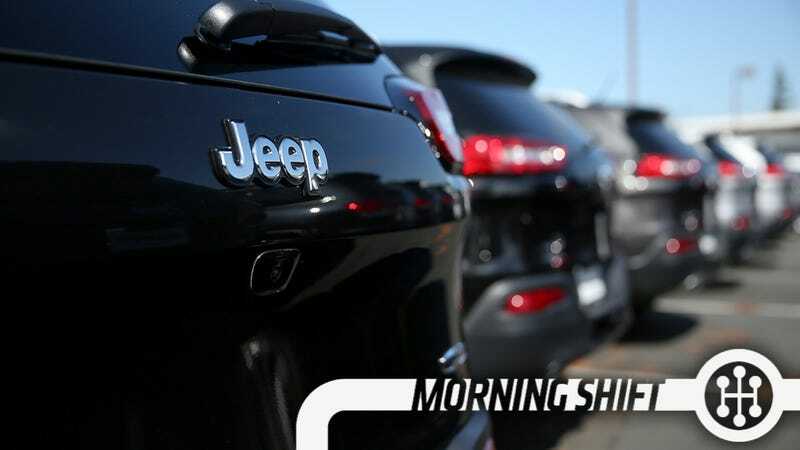 Chrysler Group CEO and mobile Blackberry charging location Sergio Marchionne told reporters in January that they'd sell a million Jeeps globally this year and, if the first 9 months are any indicator, that's going to happen. As The Detroit News reports, the brand sold 747,000 vehicles over the first nine months, besting all of last year's performance. Most of those vehicles are in the U.S., but the brand is taking in new customers in Europe and China. Local 112 is the latest addition to the United Auto Workers organization and it just happens to be in Tuscaloosa, Alabama, home to the Mercedes-Benz plant that churns out a lot of products for the automaker. More like Russialoosa, AMIRITE? According to the Freep, the idea is to put into motion an effort to recruit a majority of the plant's workers in order to unionize it. No one who joins now will have to pay dues until the plant is officially organized, recognized, and the charter is ratified. Daimler says they're staying neutral, but German union IG Metall isn't. The German unions realize an un-unionized plant in the U.S. hurts their negotiations in Germany. Stupid globalism. The UAW wants to expand and they've been resisted, historically, in the south. For a worker, there's maybe a chance to get sweet sweet globalized wages but you could make a pretty easy case against... as some Koch Bros-powered orgs are soon to make. We look forward to some suspiciously well-funded attacks from both pro- and anti- groups and individuals. We're excited about the new GMC Canyon/Colorado twins, as are many prospective customers, but they're going to have to wait a little as dealers were told to halt sales after finding an electric bug that could cause airbag misfires. The largest U.S. automaker is trying to move beyond a year in which it has recalled almost 30 million cars and trucks in North America. Chief Executive Officer Mary Barra faced four separate congressional hearings over the handling of an ignition-switch recall now tied to 23 fatalities. GM is preparing to conduct a safety recall, meaning it will notify U.S. regulators and repair the vehicles for free. The company doesn’t know of any crashes, injuries or fatalities connected to the error, Adler said. Being optimistic, this is a sign that GM is dealing with problems before they become tragedies. The Ford Super Duty pickups of the future will be aluminum as Mark Fields told investors last week. That's a pretty big change for the automaker and proof that they believe the material is the way to go for big trucks and that it should stand up to the kind of abuse that heavy duty pickups normally take. Things Typhoon Phanfone did to us this weekend. 1. Inconvenienced our Japanese bureau (well, Kat). 2. Caused chaos at the Japanese Grand Prix and may have contributed to Bianchi's serious accident. 3. Caused 12 plants in Japan to shut down. Damage seems to be only minimal and the plants should reopen soon. Neutral: Can Jeep Hit 1 Million? What do you think, can they reach this ambitious goal? How do you think they're doing it?